This is a simple protection spell that even the children can participate in! Proceed to weave the floss one color strand after the other over the others in the shape of a 4. I promised this week that I would have a post containing information and a few exercises on contacting your spiritual guides. I was not lying. I realized however that at the end of my work on trance states I never explained exactly why I had the plate of cheese or nuts by your side at the end of the exercises. To be honest this entry has come out of a need for my to do exactly what this essay is about. Grounding is the last part of any trance, ritual, magic, or energy work that I do. It is the also the first thing that I do. In this way my concept of the circle being the symbol of perfection does into play. Grounding is what allows us to switch gears and allows us to focus on one specific task or goal at a time. In some ways I see the techniques of grounding as techniques of getting into a trance or at least of altering ones state. This is why grounding is the first part of getting into a trance and it is the last part of getting into trance. For people who suffer from anxiety disorders or even who wish to learn how overcome anxiety before tests, interviews, presentations, ect grounding is a good skill to learn. It is something that really applies to every day life and all parts of life. I have somewhat of an anxiety disorder. When I have worked in fast food I have had the problem of beings one of the few employees who would try and do everything they could. In many ways this made it harder for me to do my job which was always to take the orders at the front counter. I ended up over coming my anxiety at being overwhelmed by imagining one leg being a root taking in new energy and the other leg being a root pushing out my anxiety. What I have just illustrated is a practical use for grounding that allows me to work and earn my own income. That is a technique that for me connects me to how I truly see the concept of being both grounded and centered, That illustration for me is that of a tree. For me the image of a tree becomes very important and you could say that the trees are the the central key to the mysteries as I understand them. So why are trees sacred to me and why did I use that specific example for grounding? The first thing that comes to mind for me is my location. Location and land relationships are very important to me. I live in Maine. I constantly see the trees taking nutrients from the ground up to the crown to be filled with the light from the sun back down through the heart to the roots and back into the ground. For me that is the perfect example of how life is constantly changing and being recycled. The best form or grounding is one where you don’t remove the energy and emotions that bother you, but transmute it by changing it’s vibration and polarity. It goes from one state into another at your will. The manipulation and change of energy from one form to another is the definition of magic. The only real difference here is that instead of directing the energy out into the world you are directing it through yourself, into the ground and back up into yourself in a different form. They say that energy can neither be created nor destroyed, it simply changes forms. That is grounding. Get seated in a comfortable position. Close your eyes and breath deeply and relax. Take a few breaths with an inhale of five and an exhale of five. This will get you ready to focus on the exercise at hand and clear your mind of everything that you have experienced that day. Place both feet flat on the floor. From each foot visualize a set of roots connecting and digging you into the earth. Once you feel as if you are connected with the earth see any energy that feels “off” (anxiety, anger, exhaustion, ect) into the ground through your right leg. Direct that energy back into the ground around and between your feet. Once the energy has been reenergized so to speak pull it up with the left body and direct it up towards you crown and into your hands. With your next exhale release the energy into your body and feel the changed energy. And there you have it. Your first exercise with magic. Now once you have done that exercise a few time write down in your journal how you feel. The out come of this exercise should be that you are reinvigorated and ready to go. This is an exercise to relax as well as a grounding exercise. It’s a grounding exercise because you have come from one state to a more centered state by directing and manipulating various energies. You have performed a small bit of magic. This week one of the possible prompts for the Pagan Blog Project for the letter E was eclectic paganism and eclectic witchcraft in the form of “neo-Wicca”. 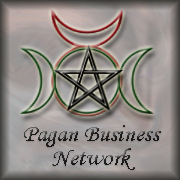 Over the last few days I have read several different blogs from the Pagan blog project on this topic. While there have been many valid insights there are some things I feel that I should say about myself. Yes. I am eclectic. I am both an eclectic witch and an eclectic pagan. I find that the two are very different practices. While I do use my witchcraft to help me connect to deity and as a part of my worship to deity, it is primarily a non religious practice a craft. The deities I worship with my craft are responsible for the core mysteries of the witchcraft tradition I am developing and sharing through these pages and writings. That being said I do accept that witchcraft is essentially a craft and a philosophy that while spiritual in nature can be adapted to any philosophy or religion. I however say that I am an eclectic pagan because I am not limited to one ritual set or technique. I am not limited to any one pantheon or cultural way. I do not have to worship or follow the typical 8 sabbbats found in most witchcraft traditions (which I do honor as well). I can worship any deity I want with any holiday I choose. I have used Hellenic rituals to honor Zeus and other Hellenic Gods. I have had an ecstatic ritual invoking Pan and have been in states of ecstasy and panic created from the worship of Pan that forced me to face my sexual fears and my deepest personal fears. I have also felt the caress of Dionysus while drunk on booze and enjoying liquor. While I have only celebrated one Hellenic festival and it was years ago, I still have that deep connection to Pan. I have held Blots and Symbels in honor of the Aesir, Vanir, some of the frost Giants. I use the Nine Nobel virtues as the corner stone of my philosophy when it comes to my world view and ethical views. I have experimented with runes and the Seax worship of Odin and Freya (it didn’t work for me). I have started to explore a few Germanic holidays that might not be followed by people other than the Asatru and Heathen recons. I have done a full moon esbat to Diana according to The Gospel of Aradia and Strega traditions. I still have a lot to learn about Strega and the other deities. However I feel strong in my connection to Diana through the Gospel of Aradia. The most recent connection I have felt to any deity was during that ritual this past summer. While I am interested in Celtic and Native American traditions I have not pursued them. I know that in many cases those cultures are closed to outsiders. While my own teacher (Chris Penczak) has a connection to some of the Celtic deities, I am not comfortable making that connection as I am not of that blood. From what knowledge I have been able to research even with my adoption I have no connection to Scotland or Ireland. The only possible Celtic connection to me would be in England if there are any to be found with in Anglo-saxon English culture. I was raised in the United Church of Christ. To this day I have never accepted the core trinitarian philosophy of the UCC that God, Jesus, and The Holy Spirit were one person. I do believe in Jesus and I do believe in the Holy Spirit and God. I just think that they are all separate entities. I think that they are all connected that Jesus is a Demi-God and the son of God as well as a prophet, teacher, and wise man. I believe in God. I just don’t worship Jehova/Yaweh/Allah (the God of Judaism, Christianity and Islam) as my exclusive god. I worship any God I chose when I chose. What are your thoughts on eclectic vs. traditional practice ? When it comes to my religious witchcraft experiences I can’t really explain. I have a deep interest in Wicca and those traditional rites and rituals. However there are practical issues and other things that prevent that from happening. I wish I could be a part of a traditional group of some sort. I long for the commitment of repeated rituals with mass power behind them, a community, and a set of core rituals and practices that have already been developed. I long for that sort of setting. When it comes to the exploration of the other paths I have tried to practice in the traditional way. It can be difficult. I find that the traditional practice makes the connection with the deities a lot easier as the rites are typically found with in the lore in some way. I find security in tradition. It helps me cement my practice and create foundations that are strong. The foundations built on tradition are stronger. I believe strongly in the power of tradition, habit, and practice. To me these help develop sign posts on the path, and tradition gives validation to personal experience. This is why I am an odd eclectic. I have explored many paths and taken several things. When I explore I use recon methodology. I read the lore and I read academic sources if they are available. I read and research the history. I have discussions with other recons. I pray and make introduction based offerings to the Gods. I use tradition. I find that I am going to eventually find one recon path to stick to. However for now I feel that I need to explore all paths open to me at this point in time. I will always keep the worship of the various deities separate. I do not believe that they are all the same. I do not believe that all Gods are one God and all Goddesses one Goddess. I believe that all Gods are individual entities. That is why I keep the worship of the various deities separate. I find that honors and respects them. I find that eclectic practice where you take different deities in worship them in context that they were never worshiped in before (Hindu deities in a Neo-Pagan witch) is not acceptable. While there have been some deities that have been worshiped in the context of other traditions (The Hellenic, Roman, and Kemetic deities were all interacting via the cross-cultural worship and interaction at the time) I find that in the end, the comparisons are usually fairly off and done with little deep research into the myths and lore as well as traditions of those people. That is why I as an eclectic keep the worship of every different pantheon separate. I find that it helps me bond with them and the culture better this way. It also helps me gain a deeper understanding of the culture through the exploration of the rituals. Plus I gain a modern understanding through anthropological research. Now I must begin the topic of “Eclectic neo-Wicca” and my feelings about that. I do not accept people who practice an eclectic form of religious witchcraft based loosely on the teachings of proper Wiccan rites as Wiccan. I do accept them as witches. In fact I firmly believe as an eclectic religious witch there is an established traditions for us. Yes. Eclectic tradition. My personal library contains several books on “Eclectic witchcraft”, as well as Wicca and traditional witchcraft (not even mentioning my recon sources as well). I have found that essentially if you look at the books that label themselves as “eclectic Wicca” there are essentially core rites and rituals practiced. While the individual practitioner may be a soft polytheist who uses other deities aside from the MMC and horned God (which I was when I started and I will have a post on this later at some point) in their rituals the actual content of the rituals is the same. The words may be different, but the intent and the format are the same. That is why I see eclectic neo-pagan witchcraft to be a cohesive tradition. The various deities found in the tradition are different but the ritual format and content are the same. I have found that even when looking at the various witch traditions out there: (Cabot, Temple, Blackforest, Standing Stone, and many others) they have the same core rituals and sabbats. While the individual interpretations were different and may use different deities the overall mythology is the same. My religious witchcraft is eclectic. I have taken from traditional witchcraft (Through Robin Artisson and a few other authors), The “Wiccan literature” out there (Gardner, Frosts, Sanders), I have taken from Hermetic literature (The Kybalion), Shamanic literature, and Eclectic Witchcraft as well as some Thelemic literature (The LBRP). My practice melds all of these together into one whole unit that works. How this is developing I am still not fully aware. Its just developing. However none of that makes my practice in any way Wiccan. Nor does it make me Wiccan. I have not been initiated into Wicca. I have not learned the rites of Wicca, nor have I experienced the mysteries of Wicca, nor do I know the names of the deities in Wicca. I am not Wiccan. I may never be Wiccan. I am a witch as the religious and magical practice that primarily drives me is derived from various forms of Witchcraft. In discussions I have had with other people in regards to the nature of the magical craft called witchcraft one constant comment has been that witchcraft as a craft is eclectic in nature. It is something that is going to be developed individually by each witch. As a magical practice I primarily define witchcraft as dealing with the folk lore and folk traditions of European countries both continental (German, France, Italy, Norway, Sweden) or Island (England, Ireland, Scotland, Iceland,). This magical practice contains lore from all of these sources and have adapted to include some Christian influenced charms over the years. It is this adaptability that has allowed Witchcraft to survive. It’s no wonder that witches are often considered to be ‘cunning”. Witchcraft has many forms from protection from witches (witch bottles and many protection charms during the puritan era in America fit into this category). Some of the practices can be traced to fairy tales, and others more to local legends and traditions. The fact of the mater is that as a magical practice witchcraft has always adapted and will always be adaptable due to its eclectic nature. As I mentioned before essentially witchcraft as a magical practice is going to be created by each individual witch. While there may be some spells and charms passed on through oral lore or in the form of a Grimiore ( or Book of Shadows) essentially every witch must find what works for them selves. This is why constant trial and error is important. That is why constant study and exploration is important. My witchcraft involves angelic forces from time to time. It can involve elemental spirits, dragons, other spirits, ancestors, gods or just my own energy. 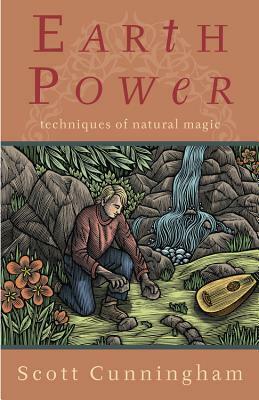 The spells I create can involve intense energy manipulation or little to none. They can involve manipulating physical objects or they can involve simply focusing mental energy. My magic is varied and allows for experimentation and development. how do you feel eclectic work benefits you if that’s the path you follow? I have found several benefits to being an eclectic pagan. One of the key benefits is that I can widen my network of contacts and I can increase my experiences. I have found that by honestly going into the various Recon and eclectic or traditional groups saying that I am a seeker who seeks genuine wisdom and experiences. I do not know if my path lies along the lines of a specific tradition or if I am suited more to always be an eclectic. For now I wish to simply discuss and learn from you about your groups practices that they will be more willing to accept me. Another benefit has been the ability to constantly explore and try new things. As I said before in this post I am not limited to any specific holiday calendar or ritual setting. By being an eclectic I have opened myself up to the possibilities to be found in any and every path out there. I don’t have to experience the mysteries of the universe (and I believe every path to have a unique set of mysteries available to them) through just one culture. I can experience many mysteries. The largest drawback I have found to be that I have to constantly be studying. As an eclectic I have to constantly be reading and expanding my references for various paths. I have to look into history and culture. I have to look into modern telling of myths and folk lore as well as more of the literal translations of source texts. I have to look at personal experience. I have to compare it to lore and experiences by other people. I have to keep a record of what I have done and what I hope to experience. There is a lot of exploration that comes with being an eclectic. There are times that the work may not seem worth it, but in the end I find it worth it. I am an eclectic because I am a philosopher in the truest sense of the word. I am a lover and seeker of wisdom and knowledge. That may explain the various deities I have connections to (Zeus, Odin, Thoth, Friga, ect). I believe that there is wisdom to be found any where. You just have to be open to the possibilities. To be an eclectic witch and an eclectic pagan is to have the courage to explore, test, and question everything that is out there. It is to test your self and your practice. It is the courage to try things that other people might not. It is the courage to experiment and fail and try again. I think so. I find enjoyment and pleasure out of reading about, researching, experiencing, and exploring various religions and philosophy. I find enjoyment out of pondering the nature of the universe. I find enjoyment out of exploring all avenues of wisdom and learning. I am in that ways happy to be a college student. For those reasons and more I am an eclectic. I tread the border between being a traditionalist. I hold that traditions should remain in tact. I hold that traditions are meant to be done a specific way for specific reasons. In that way I am a traditionalist. In that I am open to more than one tradition or way of thinking I am eclectic. Just because it’s tradition doesn’t mean it’s the only way, but it also doesn’t mean that traditions should be discounted. I saw this meme on Angus’ blog and thought that answering this would help anyone who reads this blog. Most of these questions will be expanded on in future blogs. I would say I am a seeker. A lot of my work does involve the other worlds. I have had some influences from traditional witchcraft (by authors like Robin Artisson and Paddington) which shows the underworld tradition. As I am a member of the Temple tradition that tradition plays a lot into my beliefs and practices. I have also worshiped the Norse Gods. I feel I should start that over again. There is some influence of Germanic paganism in my religion. I worship a 5 fold God and Goddess. The Goddess may be Frau Holda. I have yet to confirm that through folk tales and UPG. I believe in fate or wyrd. I also believe in all deities. I am a hard polytheist. I believe all deities to be seperate individuals and not faces of one supreme being. I work heavily with Dragons in my practice. I have been working under the Hermetic philosophy as outlined in the Kybalion. My path is constantly twisting and turning, with some criss crossing. I am a seeker as such my path will change and evolve as I gain wisdom. I practice by holding rituals. Lately I have been lax in my practice. I am working on getting back into practice. Meditation and trance work are essential practices. When I don’t hold a ritual I typically try and do a bit of journeying through the use of Drums. When did you first commit to your Path? I started to explore paganism when I was 13. My practices back then were quite odd. I incorporated a lot of the anime I was watching at the time to my practice. At the time I was moody and quite odd. I was confused about a lot of things, add to that most of my information came from Teen Witch and my delusions of being those charecters in this day it makes for an entertaining story now. When I was 18 I first learned exactly what Wicca was and how it was not what I thought it was. I got in contact with a local coven (now disbanded) which I later found out was associated with Oath breakers. For a while I looked at being a Hellenic pagan. Then I just started to read any book I could find on the subject. I was 21 when I found the Temple tradition through the books. The next year my mother and I took a weekend workshop with Chris Penczak. It was after working with him and having some of the most vivid experiences that I have ever had that I knew I wanted to learn more from him and seek the deeper mysteries. Last year I was enrolled in Witchcraft 1. I was unable to continue for personal reasons. It was at that time that I began to remember what I had read from Artisson. Those things have begun to become included in my path. If I had to say I would say it’s only been the last 3 years that I have really committed to trying to follow a specific path. One of the things about the Temple tradition is that I can add in some other practices as I learn and explore. Why did you choose to follow a path of paganism? At first I wanted to get out of Christianity. I was angry at Yaweh or Jehova and thought I should explore other things. I went through my confirmation, but it was then that I realized I did not agree with the central doctorine of my church. I was not a trinitarian. I had always believed in other gods and knew that I should leave the church formally and go my own way. That was when I was 14. During my teen years I was at church on a regular basis. I assisted in the nursery and as a Sunday school teacher. That church had been family. So I had a dual faith for a while where I tried to combine Christianity and generic neo-paganism sometimes called “neo-wicca” a term I hate with a passion. Though I would call it extreme fluffy bunny. Today I still believe in Jesus and Jehova. I am learning about Jehova through a bible study at the local Kingdom Hall. I feel it is important to understand what other Christians believe. I consider myself pagan as I do not worship Jehova but I do honor him nor do I follow Yaweh or Allah. I choose to be a pagan because I feel my core beliefs do not resonate with Christianity. I grew up. I no longer hold the views I did then. I no longer blindly follow rituals and practices outlined in books. Today I basically question everything and work based on what I see as truth. Due to my constant questioning of myself I am constantly changing or revising my views. Very much so. I feel I have learned a lot but I know that there is so much more to learn and explore. I have my own beliefs and I no longer follow cultural misapropriation. I have gained wisdom. I see clearly where I once saw only shadows and clouds. In some ways very much so. I used to believe in one divine being that was expressed as a God and Goddess who were seen through the faces of all other deities. That changed when I actually started to read core myths and saw just how different the Goddesses were from each other. I did see some similarities but nothing to say they were all the same. I now believe in one being known as The All which is an all enompassing living mind. We live with in the mind of The All. I believe in different planes of existence where we learn lessons until we can move to the next plane. The highest plane is being in full union with The All. The universe is infinite and there are myrids of reality. I also believe that the other planes of existence are seen in the other worlds. In this specific reality the three worlds are one yet viewed seperate. We are all part of one reality connected through an intricate web. Yet we see ourselves as seperate. This is the key to understanding fate. I am still working on getting into my full and true self. My concept of the soul has changed quite drastically. I include many different philosophies in my view of the soul. Many of them tie into the concept of Wyrd. Though I feel there are a few components missing from Wyrd. It wasn’t until I read and seriously took the time to explore Asatru that I felt a need to get back to those roots. I felt that I should explore those paths seriously. I have read the Eddas several times and they resonate deep within my core. I feel close to Odin as well as Niord and Nerthus. From that point I felt that there should be some element of the religious beliefs of my blood ancestors (and quite likely my Franco-American ancestors as well) in my religion. I quickly inserted ancestral veneration into my practice. Research. I have to admit it. I have more academic or book knowledge than I do actual experiences. That changed and will continue to change as I work with the Temple tradition and other sources. No. I feel that they are equally important. I feel research is good for understanding cultural context and exploring new ideas. Practice however is how we actually worship the beings in question. It is how we actually physicalize our beliefs. I am working on discipline. My mental illnesses and my developmental problems. I think so. I feel I am more free to be open to new thoughts and thus new ways of conducting my behavior. It has also helped me understand my own behaviors. My worldview has changed as well. No. I have not been trained in the rites and rituals of my tradition to the point where I would call myself a priestess. I do not call myself a Shaman. There are elements of Shamanic practices in my practice. These come from European views and not Native American or Siberian. The actual practice is important. If there are specific terms to be used in rituals then knowing the correct vocabulary would be more important. “You only fail if you stop trying” which was told to me by my fiance when ever I feel as if I have failed. The journeys I took during the workshop with Chris Penczak. I had started to access the mysteries but I was not yet ready to do so. I needed to start at the beginning, which is where I am now. Yes. I have and I hope to do more so soon. I almost set my bathroom on fire with a spark that fell into an open bag of toilet paper. It took a few moments but I fixed it. This happened during one of my ritual bath/meditations. I’d say trying to avoid following or taking one authors word with out question. In ritual? Once. I was outside and alone at dusk doing a ritual to gain power. Yes. Though I use one when I am trying to invoke a being or try a new evocation that I have written. Have you ever preformed spontaneous magick/spellcraft? All the time. It’s how I was able to get parking at school. It also helped my fiance and myself in a financial situation. The Gods who choose to listen to my worship and prayers. Hardly ever involved. The whole separation of Church and State thing. I am a witch. I work magic. I will do what is necessary to get what I desire or defend my loved ones. No. I may advise and guide though. To teach and inform the community about our beliefs at large. I feel hyper and I also feel jittery. I hear a lot more things than I normally do at these points. Ancestors Dragons and the spirits of the land. I also worship deities. I worked well with the spirit of this land. She lives in an oak tree in my front yard. I have given her hair and money. The reverence in which you perform the ritual. To honor and be close to the deities or beings to which the ritual is directed. What is the purpose of divination/dowsing (or whichever for of augury you use)? To gain insight as to how things may come to pass. It also gives me another way of looking at what has happened. I use an oracle deck based on the medicine wheel. Though I feel I may start to look back at something more European. It’s actually a book I started but decided I needed to give it more attention than I could at that time. It’s the 3 books of occult philosophy by Agrippa. The language is odd. The Witching Way of the Hollow Hill was difficult, but I found the Horn of Evan Wood to be much more difficult. The book I read on Germanic Heathenry was only complicated when it came to the explanation of the calander. That will depend on what they are looking for. Is there an additional question you would like to see here? Do you have any specific beliefs regarding the afterlife or what happens after death?